They're brightly colored, adorned with flowers, painted on beautiful models and tattooed into strong muscles- sugar skulls. Why are they so colorful? What do they mean? How did the design become so popular? How do you incorporate it into your wardrobe? We'll answer all of these questions and more in this examination of these beautiful cultural icons. The sugar skull we know today has its roots in Central American Aztec culture, where the skull was a symbol of death and was often taken as a trophy when they killed enemies. Those skulls were then used in special rituals that symbolized not only death but also rebirth- thus, the skull was not a symbol to be feared, but was simply a part of the cycle of life the Aztecs followed. After the Spanish conquered the native peoples, these kinds of rituals were ruled to be heretical and savage, and were eventually merged with pseudo-Catholic rituals to create the holiday now known as Dia de los Muertos- the Day of the Dead. When these festivals sprang up, Mexicans looked to their ancestors for ways to carry their culture into the modern age. That meant bringing skulls back to the party- but it just didn't seem right to use real skulls. The idea was hit upon to create calaveras, small candy skulls, often made of pressed white sugar and decorated with brightly colored frosting. Often the name of a child who has died in the previous year is written on the forehead and the skull is placed on an altar (or ofrenda) along with items the deceased loved in life. This holiday is celebrated starting on October 31st in Mexico, All Hallow's Eve, where the altars are often set up in community churches. The first day of the festival is when children in the towns will create a children's altar and invite the spirits of children who have died during the past year to come back. The children's spirits are called 'angelitos', little angels, and have this first night of the celebration dediated to them. The next day, November 1st, All Saint's Day, is when the adult spirits are asked back, and November 2nd, All Soul's Day, is when families will go into the graveyards to decorate the graves and tombs of the dead, often stopping to picnic during the day amongst the gravestones. The unique way this holiday combines Catholicism with their traditional practices is perhaps one of the reasons the appeal of the sugar skull is growing. It represents an intersection of two seemingly incompatible cultures, and shows respect to traditions that were formative in their country. I think it is also a really beautiful holiday to honor your loved ones in a way that is joyful and beautiful. In looking at the iconography, it can be easy to forget that at the core of it, the people who craft these little offerings have lost a dear one recently, but this isn't aboout mourning- it's about remembering the person through the things they loved, and paying respect to them. 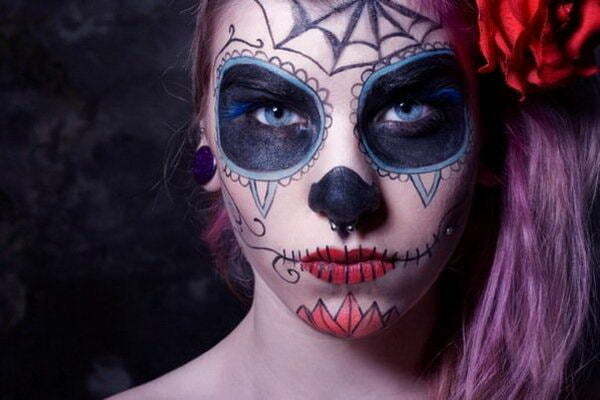 With such a weighty meaning, it seems like it might be unusual that the sugar skull has started turning up in fashion. In actuality, there's a very good reason the image is so popular- it's our fascination with all things morbid. When you think about it, a skull is a very polarizing thing. It's part of what used to be a person- it belonged to someone; it was someone. That morbidity is why the skull is such a popular image within the Gothic culture- but it's too jarring, too intense for some in the mainstream world. The sugar skull has taken that image, that rictus grin, and has softened that harshness with bright swirls, flower petals, and delicate filigree. It injects a little bit of vibrancy in months that are usually cold, dark and muted. It has made that frightening thing into something more of a character than a human, and so its popularity- and Day of the Dead clothing- has exploded. Working these vivid little ornaments into your everyday wardrobe can be a little tricky, but with a little self-restraint, the look can actually be quite lovely. 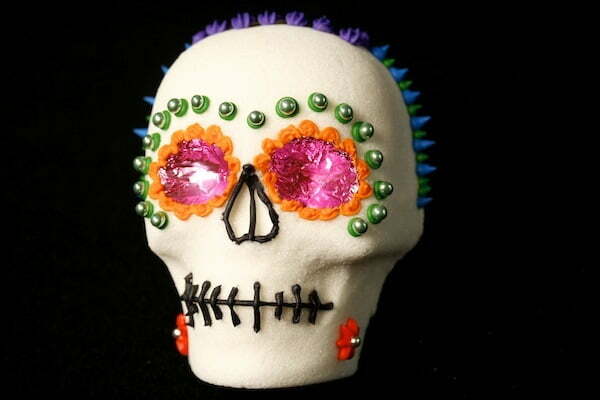 First, don't overdo it on the skulls- there's no need to festoon yourself with sugar skulls on your shirt, leggings, bag and jewelry- you might look a bit cartoonish. 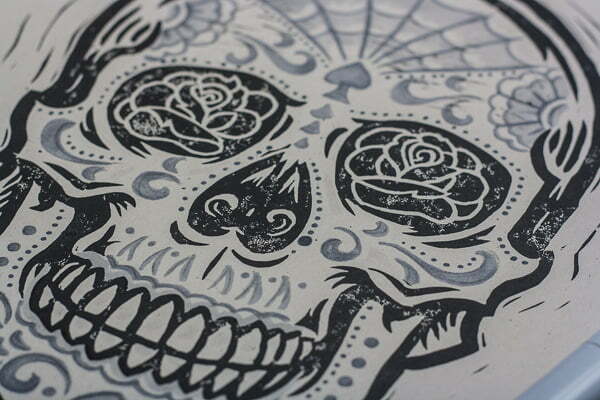 Pick one article, like a sugar skull tank top, and pair it with some simple black leggings. 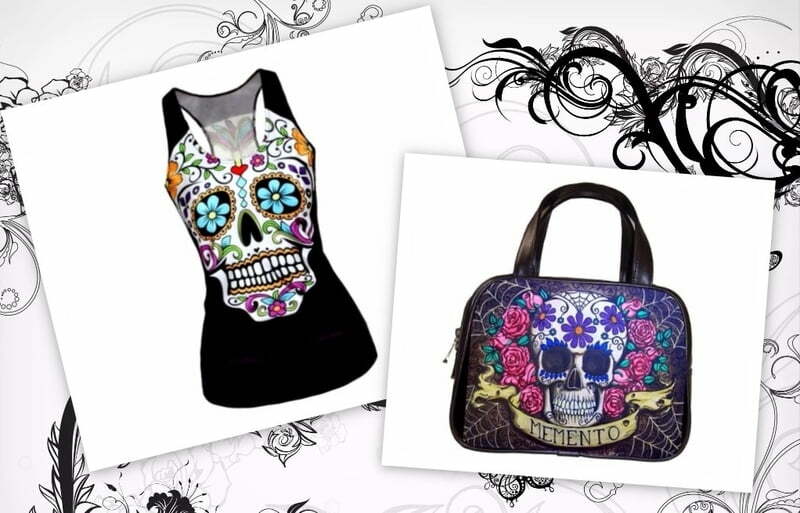 Alternately, a long, flowing black top or a little black dress will look quite nice paired with sugar skull leggings. You could also accessorize that perfect little black dress with some bright sugar skull jewelry, like a ring or necklace, or even a cute sugar skull purse. Don't be afraid of color though- if your Day of the Dead top has some great pops of color like pink or blue, try finding pants in the same color- or even better, find shoes in the same shade! This also works great if you have a Day of the Dead bag that you just adore; matching shoes to your purse keeps your look totally pulled together, no matter what you wear in between. Now that you have a little background on one of the hottest style trends out there, accesorize responsibly! Wear your calaveras proudly, and find a little joy in all the aspects of your life- even if they start off somewhere sad. 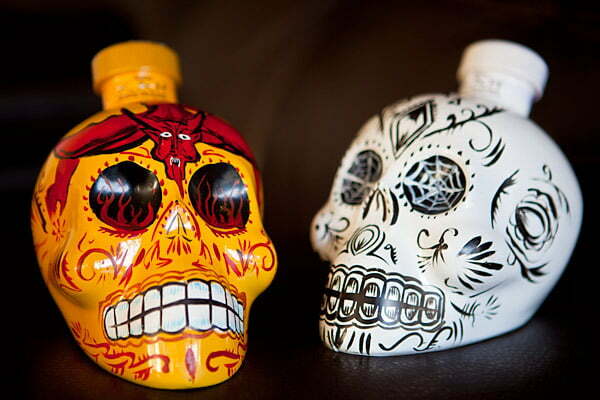 Share a pic of your favorite Sugar Skull in the comments below!